JAKARTA: Malaysian businessmen are encouraged to take advantage of Indonesia's economic reforms and invest in the republic. Making the call, Deputy Prime Minister Tan Sri Muhyiddin Yassin, who is here on a 3-day working visit, said Malaysia welcomed the economic reforms and now was the right time to invest. He said data statistics on investments between the two countries were encouraging. Overall, Malaysian investments in Indonesia stood at US$15 billion, in the areas of palm oil, finance and banking, oil and gas, telecommunication and infrastructure. "This puts Malaysia as the second largest Asean investor in Indonesia after Singapore. Between 2010 and 2014, Indonesian companies have also invested in Malaysia with investments totaling US$1.89 billion, in areas of hotel, property and food franchises," he said during a dialogue with members of the Indonesian Chamber of Commerce and Industry (Kadin) last night. Present was head of Kadin Suryo Bambang Sulisto. Muhyiddin said the economic reforms being implemented by the Indonesian government under President Joko Widodo involved projects such as the building of ports and dams, roads, and energy plants, all of which are expected to contribute 8 per cent economic growth by 2019 in the republic. The setting up of the one-stop service (OSS) centre by Indonesia's Investment Coordinating Board (BKPM) in January was evidence that Indonesia was taking measures to make it easier for foreign investors. The OSS is an integrated service platform between BKPM with some ministries and financial institutions. It is intended to provide quick, simple transparent and integrated licence services. Muhyiddin said BKPM was also planning tax exemptions for investors in 144 business sectors, including in shipping. "I believe Malaysian companies are interested in joint ventures with Indonesian companies, considering the conducive business environment," he said. 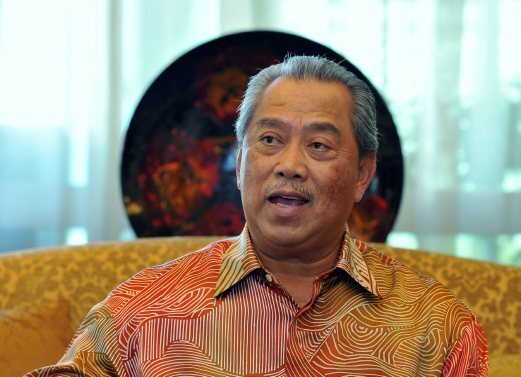 Muhyiddin also said cooperation between Kadin and the Malaysia-Indonesia Business Council needed to be enhanced to open up business opportunities between Malaysia and Indonesia. The Indonesian government needs investments amounting to some US$420 billion for development projects between 2015 and 2019. Of the figure, 40 per cent of it is from the private sector. During Joko's visit to Malaysia in February, he had invited Malaysian businessmen to invest in manufacturing, tourism and infrastructure. These have been identified as three core areas of growth under his leadership. He had also said Indonesia needed massive investment and if domestic capital was not sufficient then Indonesia needed to look for investors abroad including Malaysia.